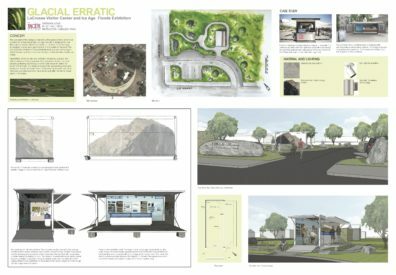 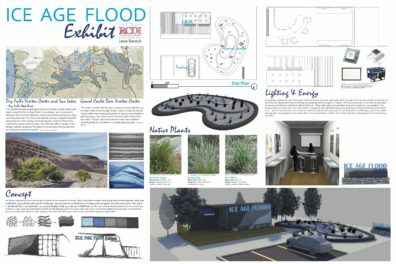 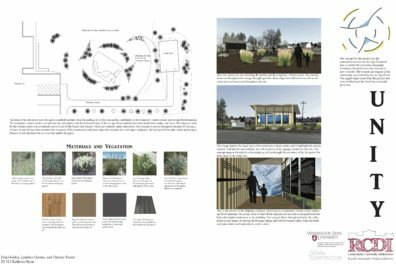 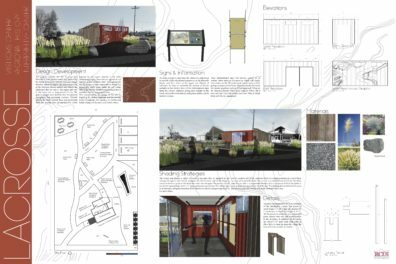 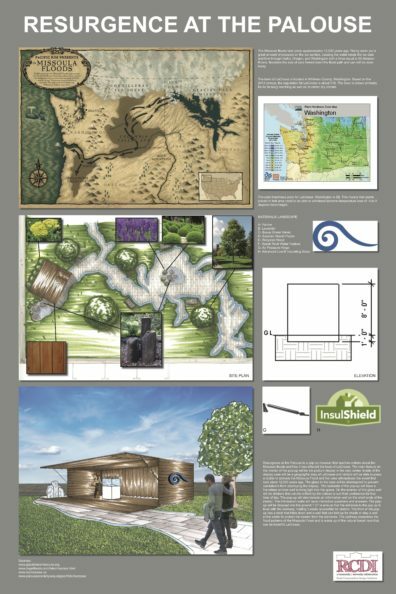 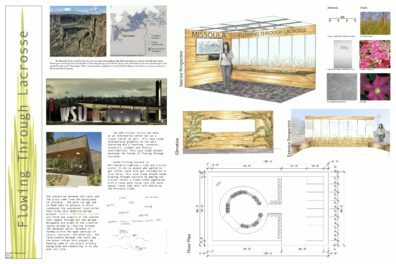 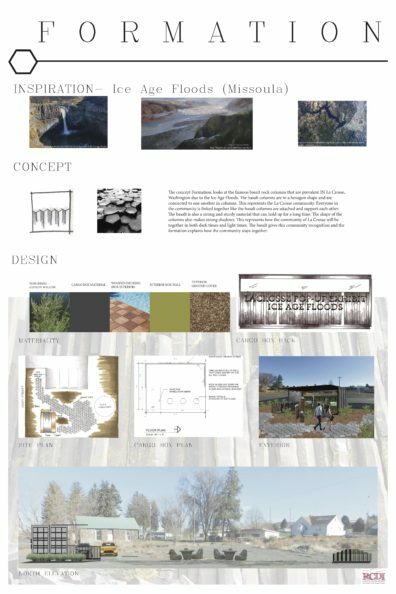 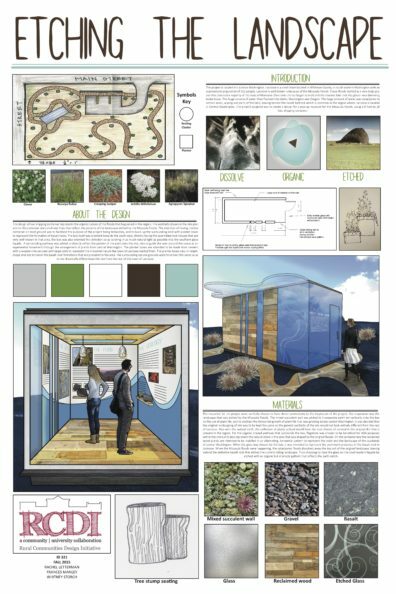 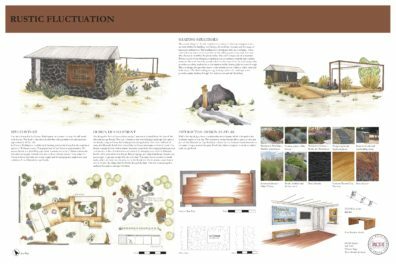 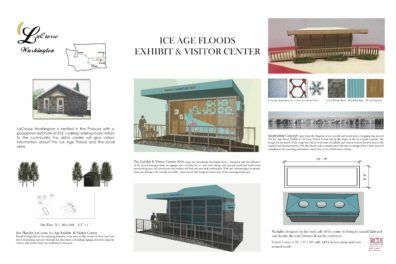 Interior Design students in the third year studio developed design ideas for a temporary Visitor Center and Ice-Age Flood Exhibit in LaCrosse WA. 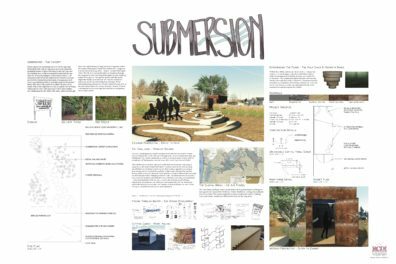 Landscape Architecture students acted as consultants for site features. 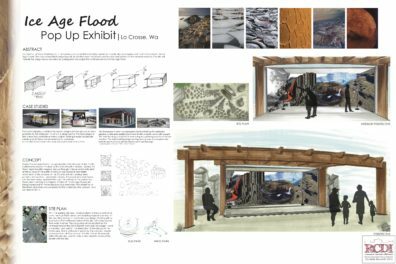 The site is owned by the LaCrosse Community Pride (LCP) community organization. 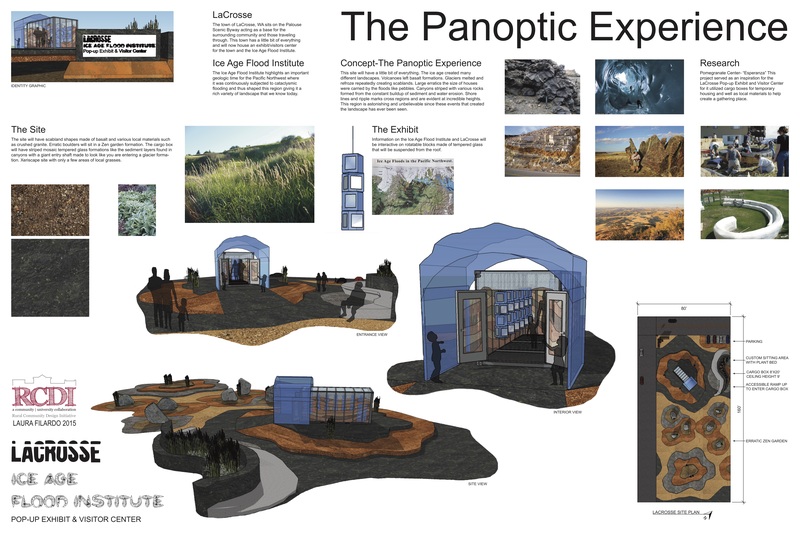 LCP is working to stabilize the basalt rock buildings also on the site.